The child protective system (CPS), shaped by federal law forty years ago and run on the state and county levels in the United States, offered in utopian fashion the hope of preventing all possible child abuse or neglect. 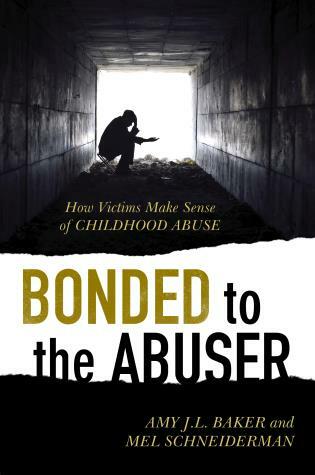 In response, legislators enacted a spate of vague laws that poorly defined such categories as “abuse” and “neglect,” and granted the CPS sweeping powers to intrude into families, often on the basis of nothing more than anonymous complaints about standard childrearing practices. This arrangement, which followed from the questionable assertion of the existence of a crisis of child abuse and neglect, became the basis in theory for the universal monitoring of American families that has resulted in the sharp curtailing of parental rights and responsibilities. With overreaching by local and state governments into family affairs, the current CPS has not only damaged untold numbers of families but also undercut the legitimacy of parental authority through the continuous threat to parents of child removal. 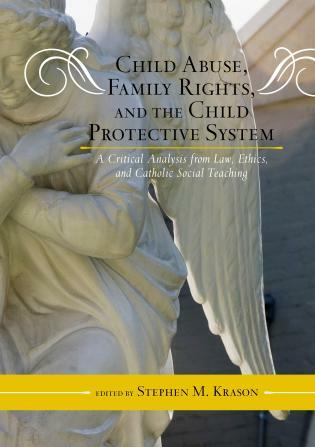 In Child Abuse, Family Rights, and the Child Protective System: A Critical Analysis from Law, Ethics, and Catholic Social Teaching, Stephen M. Krason gathers essays by leading scholars and practitioners to comment through the prism of Catholic social thought, on the plight afflicting American families and the role of the child protective system. Here readers will find critical essays on the deleterious effect of the 1974 passage of the Child Abuse Prevention and Treatment Act; assessments of current American policies on child abuse and neglect and the role of the CPS within the context of prevailing international human rights principles and Catholic social teaching; a survey of the enforcement of CPS policies from a legal and constitutional perspective; research data disputing the CPS principle that all parents are potential abusers and illustrating the greater prevalence of abuse and neglect in broken, “blended,” and “untraditional” families; and arguments for poverty and unemployment as the prime culprits in the mistreatment of children. Also included are the amicus curiae briefs that the Society of Catholic Social Scientists submitted in two U.S. Supreme Court cases on parental rights, the CPS, and state control over the family. Child Abuse, Family Rights, and the Child Protective System should appeal to a variety of professionals as well as scholars, from family court attorneys, social workers, family counselors, and clergy to researchers in the fields of social work, law, family studies, American politics, sociology, human services, counseling and psychology, and education, as well as public officials. Stephen M. Krason is professor of political science and legal studies and director of the political science program at Franciscan University of Steubenville, co-founder and president of the Society of Catholic Social Scientists, and a lawyer. He has authored and edited several books on topics related to Catholic social thought including The Public Order and the Sacred Order (Scarecrow Press, 2009). Along with prefatory and two appended amicus curiae briefs, this volume consists of six articles originally presented at a conference co-sponsored by the Society of Catholic Social Scientists (SCSS) and the Catholic Social Workers National Association, held at The Catholic University of America in Washington, D.C., April 2012. Krason is a co-founder of SCSS. The papers offer a review of the Mondale Act and a critique of 40 years of American law and governmental response to child abuse and neglect, and then consider family and parental rights, police interference with family relations, Fourth Amendment litigation, the effects of family structure on child abuse, and child welfare policy and ethical dilemmas — all in light of Catholic social teaching.